Some need a Stop-gap between selling their home, what ever your needs and duration we can offer long and short term flexible storage to suit you. We can provide our removal surveyor to visit your property to discuss your London storage needs and work out precisely the best option for you. When your goods are brought into storage at Mr Shifter Bespoke Removals, our first step in insuring your goods are loaded into storage safely. This is to ensure that all your furniture is safely protected. 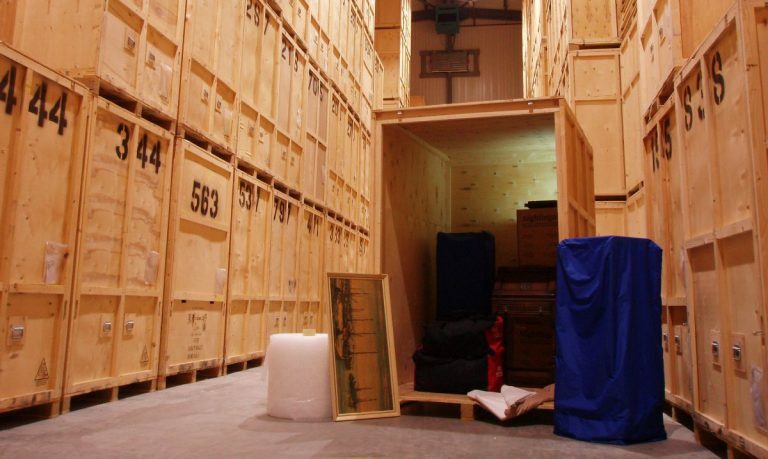 We use a variety of methods to ensure your goods are protected whilst in storage with ourselves. You can arrange for your goods to be collected from your property by our trained professionals. Our team will visit your property and load your goods into the storage containers within one of our purpose built removals and storage vehicles. Our team will then take a quick tour of your property to ensure they understand everything that you intend to place into storage with us. If you are going into storage long term, it is important that the team understand what you will not want stored. Once we have an understanding of what is going into storage, our team will begin to load the containers, ensuring they make a full and complete inventory of the goods and their condition, including the number of items brought into store. 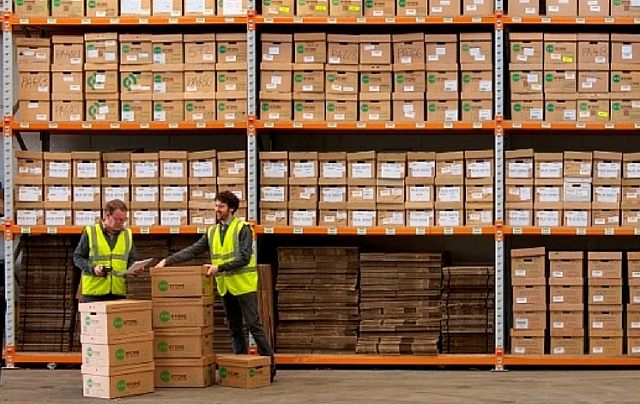 Alternatively, you can arrange to bring your items directly into our London storage facility yourself. We will need 24 hours notice to ensure the container(s) are made available for you and that a member of staff will be on hand to assist and advise you in anyway. Our first step, is to ensure that all your large furniture goods are professionally packed and wrapped with secure furniture blanketing. These are used within the removals and storage inventory for the safe transport and care of household goods and furniture. We will next look at your goods at make the appropriate decision on the most appropriate protection method for your goods. We have full access and use of export packing blankets, bubble wrap and corrugated cardboard. For Long term storage, wooden surfaces such as table tops, pianos and other finished wood surfaces will be wrapped and sealed in export packing blankets. Our containerised storage is purpose built and used nationally for the storage and transportation of your household goods. 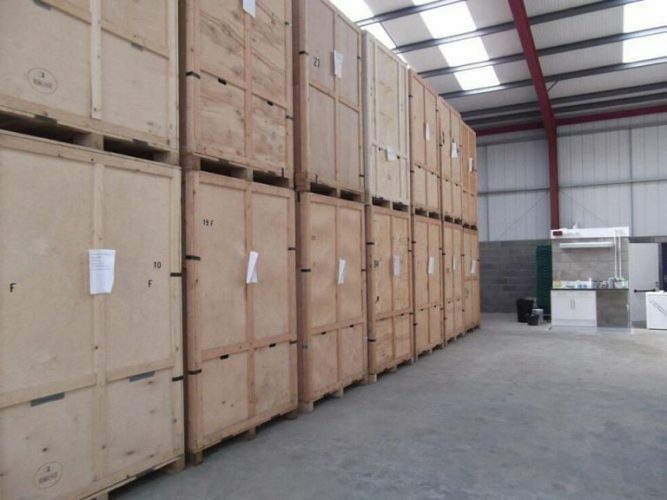 The containers are designed specifically for the loading of household goods, their unique shape allow us to load your household furniture and white appliances on to the base of the pallet. Your furniture is then wrapped and protected by our furniture blankets, and it is this base that allows us to stack the boxed content of your household onto this, allowing us to make the most use of the space. Finally any loose/un-boxed items are laid flat on top of the layer(s) of boxes, reducing the chance of damage through movement in the container. Once the containers are loaded fully, the door is sealed, creating a squared environment where the goods are less likely to move around and get damage in transit. The containers are unloaded from our removals and storage trucks via Forklift and stacked in our sheltered, monitored and secure warehouse premises. We have a number of storage options to suit your house move and your storage needs. We offer individual wooden storage containers, measuring 35 sq ft with a height of 8ft. These hold up to 250 cft each and are ideally for any property size, we can attend your property following your removal survey with the right number of storage containers for your removal. All our friendly staff are trained and will handle your goods into storage with care. An inventory will be made for your goods and their condition and will be signed of with yourself. In addition to our storage containers we also have dedicated Suite racks to ensure your lounge suites are stored as they are designed to be, each suite rack can handle a combination of either 2x 2-3 seater sofas or a 1x 2-3 seater sofa and 2x armchairs.